Q: Where do vegetarians get their protein? calcium? iron? A: It is a common misconception that vegetarian and vegan diets are imbalanced, and that those who practice vegan and vegetarian lifestyles are deficient in protein, calcium, iron and any number of other dietary needs for human survival. It is also a common misconception that these elements cannot be obtained from non-animal sources. Here is a great, but not complete list, of non-meat sources of protein, calcium and iron. Most are plant-based and can accommodate both vegans and vegetarians, but a few are non-vegan. Nuts, soy products (tofu, tempeh, miso, soy milk, edamame), seeds and sprouts, grains (quinoa, amaranth), beans and legumes. For vegetarians, dairy and eggs prove to be excellent sources of protein as well. 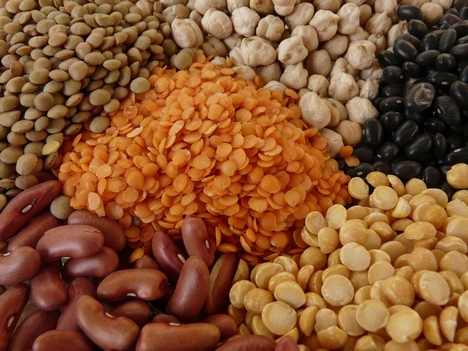 Bean and legumes such as lima beans, soybeans and kidney beans, bread, broccoli, dates, molasses, peas, rice, pasta, spinach, vitamin supplements, nuts and seeds such as almonds and Brazil nuts, dried fruit like prunes and raisins, kale, asparagus. Many spices are surprisingly high in calcium, such as celery seed, dill, poppy, fennel, sesame, cumin, coriander, caraway, anise, mustard, etc. Fresh basil has plenty of calcium. Soybeans and other beans, almonds and peanuts, tofu, arugula, collards and other greens, seaweed, figs, sun-dried tomatoes, peanut butter. For non-vegans, cheese, yogurt, milk and other dairy products can be excellent sources of calcium. These are only a few excellent foods that can augment the protein, calcium and iron content in vegetarian and vegan diets. Of course, many of these can also be complemented with vitamins and supplements. 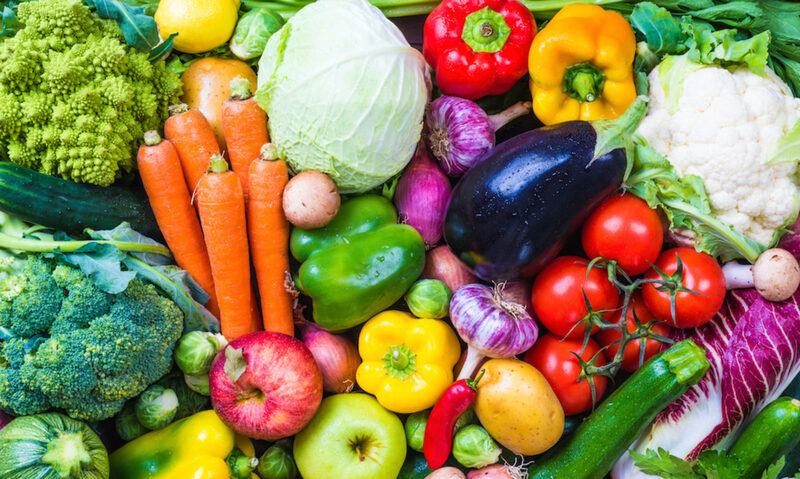 It is easy to be healthy with a well-rounded vegan or vegetarian diet. Know of more sources of protein, calcium and iron for vegetarians and vegans? Tell us in the comments!